You have probably heard by now that egg freezing is no longer defined as “experimental” by ASRM. What does this mean to patients? It means that the process of egg freezing, especially when vitrification is employed, can yield as good as fresh results. It does not mean that every lab can deliver those “good as fresh” results. It. Really. Does. Not. So when I heard that ASRM lifted the experimental label, I did not feel inclined to jump up and down with joy. Why not? Because once the “experimental” label is lifted, insurers can be pressured to pay for these reproductive services. Some labs will offer these services before they are expert and before they have a track record of good outcomes with this technology. When I heard the news, I felt inclined to duck to avoid being trampled by all the previously “slow to adopt new technology” labs rushing to provide egg freezing- pronto!- confusing “non-experimental” with “easy”. Buyer Beware of the new Egg Rush. I wrote a previous post on “Finding a good egg freezing clinic” which had among other bits of advice a list of questions (copied below) to ask before you turn over your precious eggs to a clinic. How many women have cryopreserved oocytes with your facility? Of this stored number, how many women have thawed all or some of their oocytes at your facility? What is the survival rate of all the oocytes thawed at your facility? What is the probability that none of my eggs survive the thaw based on data from patients like me? What is the fertilization rate of oocytes thawed at your facility and used for IVF? What is the embryo development rate for thawed oocytes at your facility? 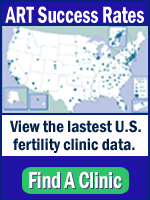 What is the live birth rate per oocyte thawed? What is the live birth rate per embryo transferred. (Compare this to their live birth rate for fresh eggs). When possible, ask about results for your age group. Know that the older you are, your chances are less that egg freezing will result in a live birth for you in the future. Some clinics refuse to freeze eggs for older patients (for example, 38 years or older) because the success rates are so low. Live birth rates from fresh eggs are also much less with advancing age so older age will reduce, sometimes dramatically, the success rate of any ART intervention. There are other questions that should be asked regarding cost of the freezing procedure, risks of the procedure etc. but as far as identifying the best lab for the procedure, the above list of questions speaks to the lab’s experience and success with egg freezing. When done expertly, there is no question that egg freezing is a real boon for women who are trying to preserve their fertility. However, as more labs offer egg freezing services, patients need to ask some tough questions of their clinic to get a better idea of how expert and experienced the lab is with egg freezing.